Details Francis Ford Coppola directs this classic. 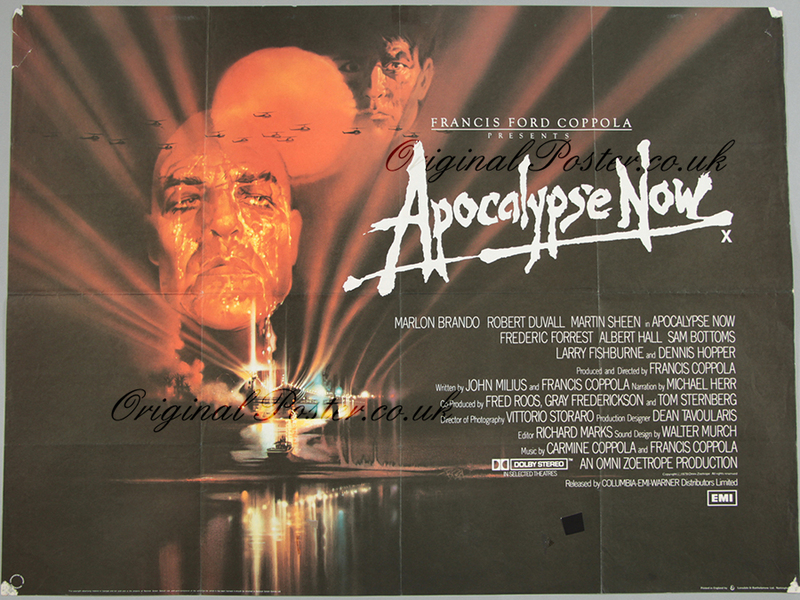 This is the first release X certificate British Quad cinema poster with atmospheric Bob Peak artwork. This folded cinema poster has a small clear 1" sq. sellotape at the bottom and the top corner tips have 1/2 inch blemish.